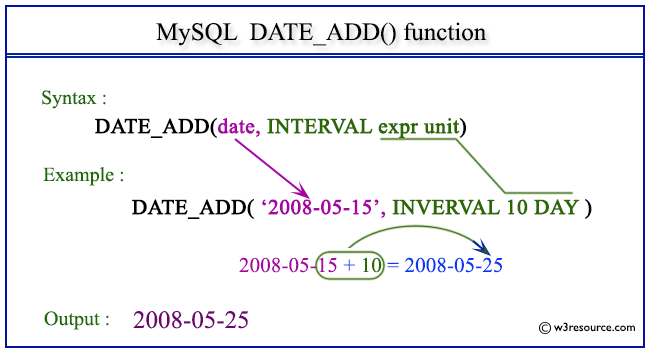 MySQL DATE_ADD() adds time values (as intervals) to a date value. The ADDDATE() is the synonym of DATE_ADD(). expr A date or datetime expression or a number. unit An unit, described in the table. The following statement will return a date after adding 10 days with the specified date 2008-05-15.